November 16, 2015 November 16, 2015 Categories Uncategorizedbalance, connection, Jersey Shore, motion, movement, yogaLeave a Comment on Movement. Well, I see it as m o v e m e n t. Movement that is essential for the soul. Exercise; mind, body & spirit. Safe to say, the only constant is change right? Look down at your chest, feel it rise, and sink back down as you inhale & exhale. Once again, change & constant movement. So as we’re all just this energy spinning around in our own imperfect circles as we orbit a flaming ball of fire in the sky — where are we going with all this motion? “Good things come to those who wait I prefer “Great things come to those who believe in themselves and hustle… HARD” Nobody remembers the guy that gave up. Fact. If you apply this KEEP IT MOVIN’ mantra to your life, goals, daily habits and that ambition factor — what do you *think* you could accomplish? 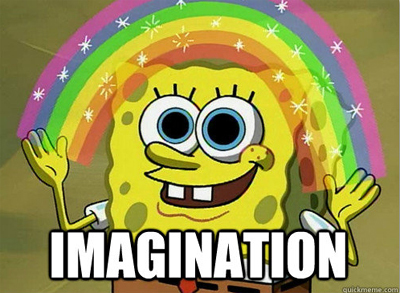 Go ahead.. use your imagination & you might surprise yourself! I KNOW I DO. And when I do it feels good, really good, almost super human. Then when riding that best-self-high – I realize how much more often I should do the things I’m passionate about! CRAZY. As I continue to explore and develop the thoughts I have when my mind wonders (that’s where you’ll find your treasure) I’m more and more excited to pursue and keep going! Object in motion…stays in motion…unless acted on by an outside force ; cool, got it! Yup. Guilty. As is everyone. When it comes down to it, we’re all just trying to figure this whole human thing out. Ugh, First timers. For example, I find it quite funny that after 4 other deleted posts and my chit-chat to close friends of this post on “Movement” FINALLY after my dilly-dallying it’s only coming to fruition as I lay here bed ridden with an inflamed right calf. OUCH!!! Is it because I physically can’t do anything besides glide across the floor like Michael Jackson at the moment, I have no choice but to mentally move? *IRONIC* don’t ya think? Life has a funny way of helping you out. 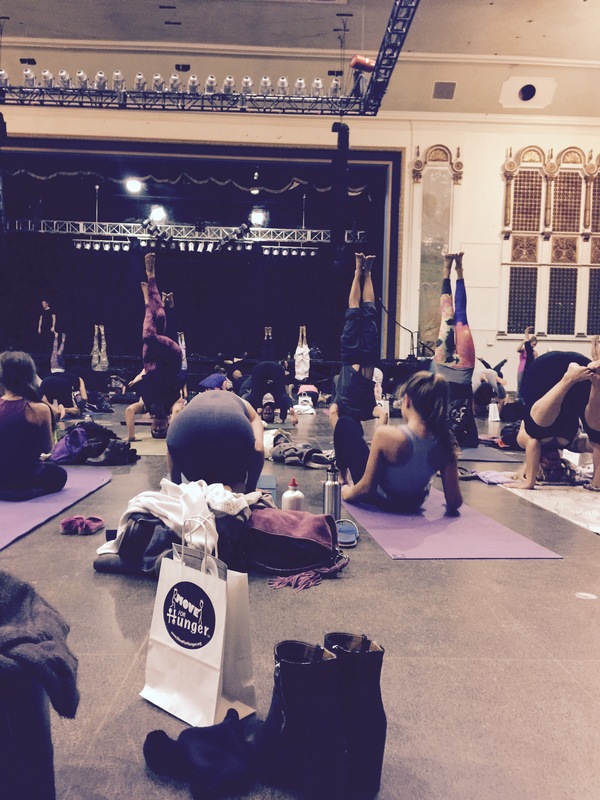 This was an awesome yoga workshop called Headstands for Hunger, held in Asbury Park raising money for those in need. 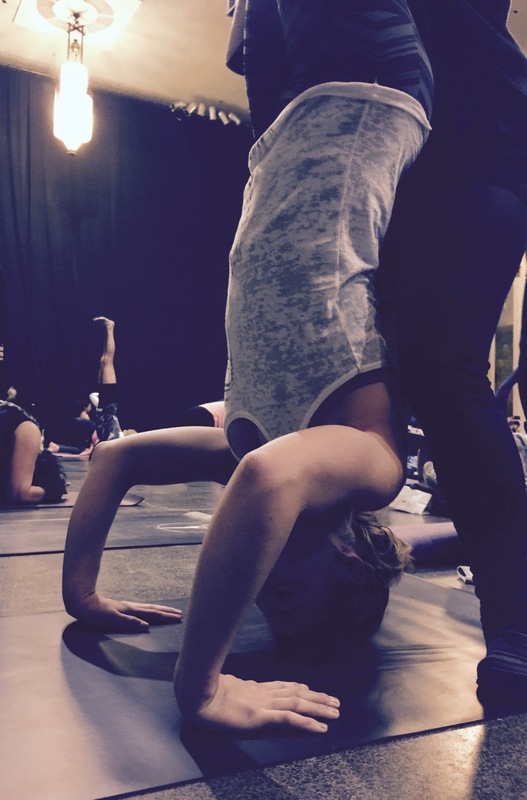 As a newish yogi, newish writer and newish soul searching go getter .. years back, I had this headstand no problem. And then stopped practicing as much. I also have no good reason as to WHY. But there it is. Life. Happened? Today.. It was clearly a little more challenging. Yet with some help, we can all do great things. Also, while giving back today and reconnecting with myself, I in turn doubled on the receiving end. As I laid down my first ever and only mat in preparation for class, I said aloud to Christine, ‘I really want to get a new mat soon’. Not even maybe 3 minutes later .. does another yogi come over with brand new unopened LULU mat in hand and ask me, If i’d like a new yoga mat?! WHAT IN THE ACTUAL…….. how COOL. Thank you universe! Turns out she works for LuLu Lemon, and we have the same name. OH. THE. SUPER COOL. IRONY.